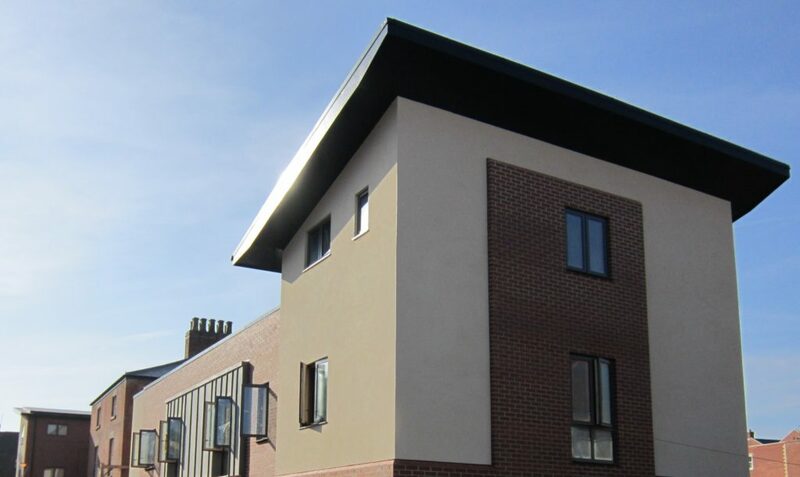 To increase the thermal efficiency and stability of the existing building; thermal efficient floor slab and independent internal thermally efficient stud walls were integrated into the fabric to bring the building above and beyond regulations. 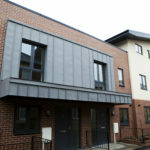 The new build incorporated 50 Photovoltaic Panels, rainwater harvesting, energy efficient bulbs and triple glazed Eco Clad doors and windows were used through out to cut carbon emissions and running costs. Conventional heating systems such as MVHR can be used due to the excellent air test results eliminating the need for expensive “bolt on” green technologies. 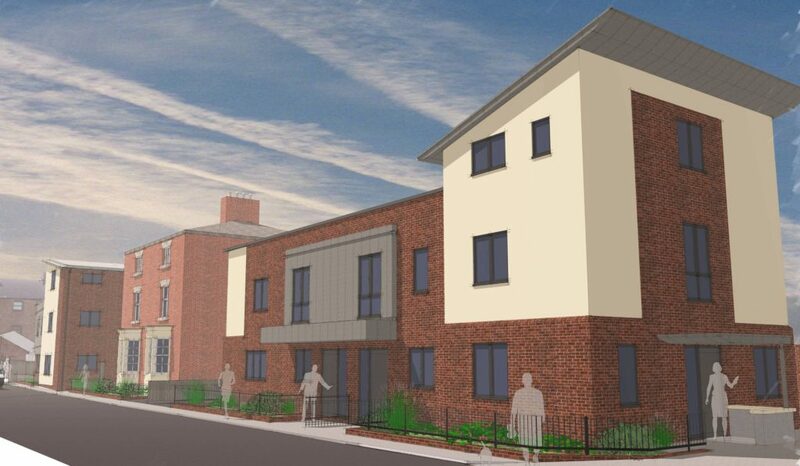 To minimise impact to local residents just in time deliveries were adopted and two banks men were employed to facilitate the safe delivery of materials to site. 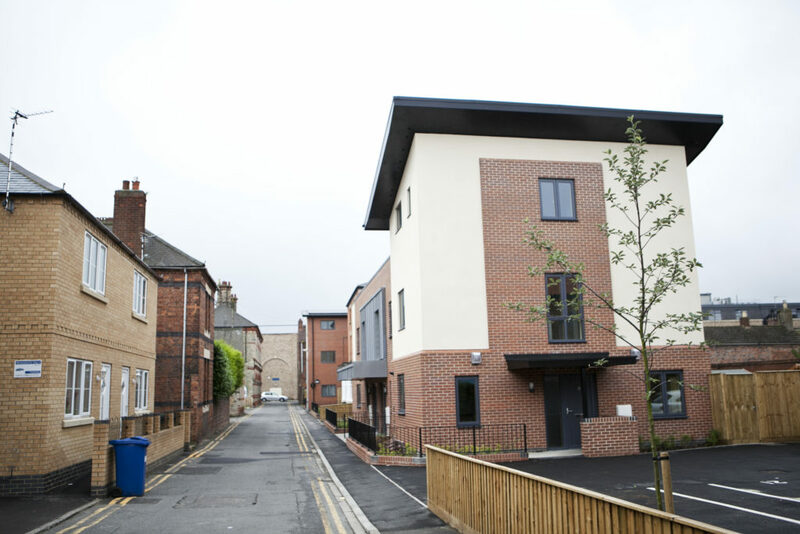 Working on a constricted street with limited access careful planning enabled the numerous residential and commercial neighbours of the site including a Church, Veterinary Practise and Theatre to conduct their normal activities. Robert Woodhead scored 98% in a neighbour satisfaction survey gaining particular commendation for good communication practises. 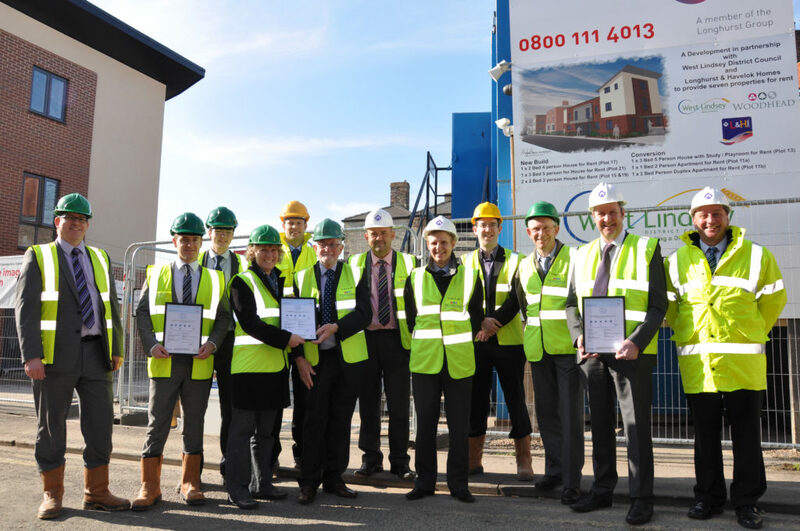 We received an outstanding score of 37/40 in the Considerate Contractors Scheme, demonstrating exceptional compliance to the scheme placing the development in the top 7.5% of audited sites nationwide. We actively involved students from Gainsborough College, organising numerous site visits and guided tours appropriate to their future careers. A Placement Year Student from Sheffield University was involved in the project, since then we have offered employment to this student, supporting them through the remainder of their degree. 100% of timber was sourced from sustainable forests, all unused timber was donated to the local Theatre to fuel their log burner. 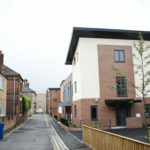 “Achieving Code for Sustainable Homes level 5 is a first for Longhurst and Havelok Homes and I would like to thank all our partners for their involvement in the construction of the scheme so far”. 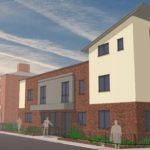 “At West Lindsey District Council we are delighted that the housing scheme has achieved this level of energy efficiency, the benefits of which will now be passed onto occupants; it really has been an excellent joint effort between all partners”. Achieved Code for Sustainable Homes Level 5 at design stage. 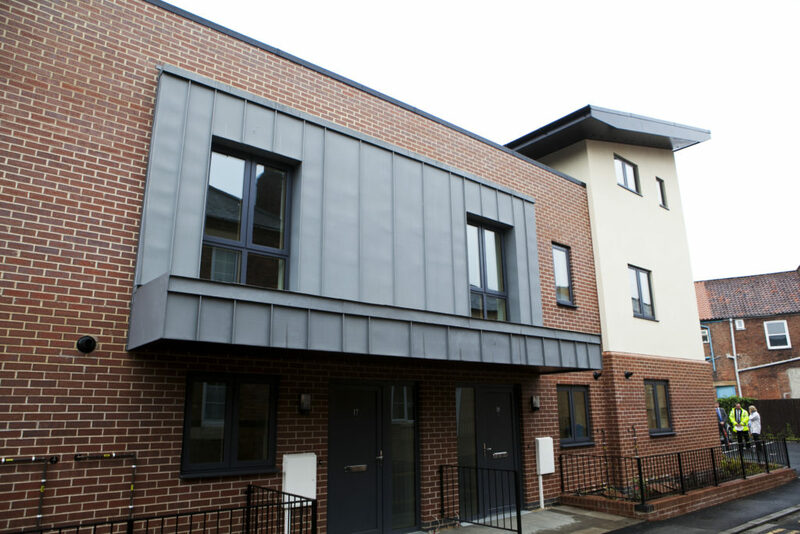 Exceeded expectations by increasing the sound insulation of the existing Victorian building by 8 decibels, and surpassed the building regulations by 15 decibels in the new build, significantly enhancing the comfort of the homes. 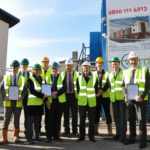 Sourced local materials and employed local contractors, supporting local businesses and enhancing local spend. Only 1.4% of site waste went to land fill. Ensured that buildings met the Lifetime Homes requirements.The dwellings have been designed to achieve a Carbon Emission rate of -1.9120 kg/m2/year. Delivered U-values of 0.14, 0.14 and 0.12 w/m2k for the ground floor, walls and roof respectively. Airtight: Exeptionally low air permiability achieved in all new properties achieving air test results of below 3m3/(h.m2) at 50pa.